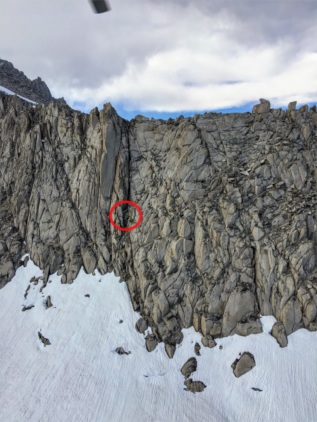 Inyo County Search and Rescue and the CHP – Central Division Air Operations collaborated to rescue an injured climber on Mt. Abbot (13,711′). A solo 24-year-old male climber fell late Sunday while climbing a technical chute on the south-east side of Mt. Abbot. He sustained several serious injuries but was able to signal for assistance through his satellite device. 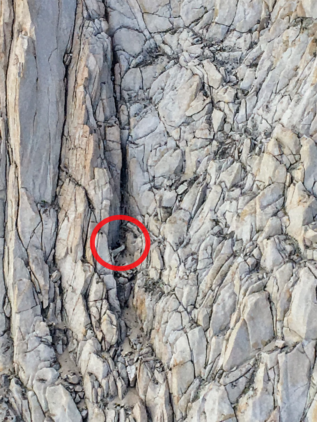 To rescue the patient, an Inyo SAR volunteer was lowered on a 100 foot cable from the CHP helicopter to the patient’s position on the side of the cliff. 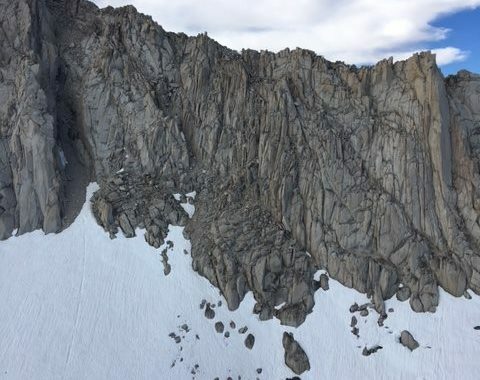 After the patient was rigged in a harness, the CHP helicopter hoisted the patient and the Inyo SAR rescuer from the cliff face one at a time. During the hoist operation, the edge of the helicopter’s rotors were only 20 feet from the face of the cliff, requiring extreme skill and nerves on the part of the California Highway Patrol flight crew. Inyo SAR and the Inyo County Sheriff’s Office would like to heartily thank the CHP – Central Division Air Operations crew for their professionalism and skill while aiding in yesterday’s mission! Posted in 2017, Missions Reports.